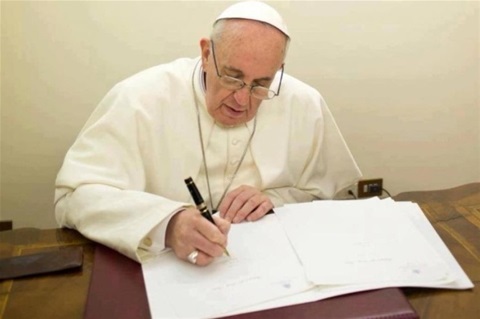 On Good Shepherd Sunday (22nd April) it’s appropriate to reflect on the latest apostolic exhortation from Pope Francis, who is the chief shepherd of the Church. Chapter two describes the subtle enemies of holiness: contemporary gnosticism and Pelagianism. Pope Francis warns of how the ‘gnostics’ attribute power to the intellect. ‘Pelagians’ trusts “in their own powers and feel superior to others because they observe certain rules or remain intransigently faithful to a particular Catholic style” which seems equally to describe pride. Many commentators have said that this chapter is Pope Francis taking a shot at his ideological enemies. In Matthew 25 Jesus expands on the Beatitude that calls the merciful blessed. For Pope Francis the criterion for holiness is mercy (see Luke 6:36 and Matthew 5:48 for contrast) – meaning for him works of mercy. This emphasis is expected as the Holy Father tirelessly campaigns for social justice. Perhaps this is due to the influence of the liberation theology movement (prevalent in South America) that emphasises the liberation achieved by the action of the faithful and from ‘sinful’ socioeconomic structures that cause social inequities/injustices. Classically, liberation is seen as emancipation from personal sin wrought by grace. For Pope Francis holiness hinges around two factors – faith and works. At its core holiness is experiencing, in union with Christ, the mysteries of his life. In practice holiness requires the out-working of faith which is framed by the Beatitudes and achieved when our lives reflect the mercy of God. Let us cover the remaining two chapters – the signs of holiness and spiritual combat, vigilance and discernment, next week.